SMEG has been in charge of DHC networks in the Principality of Monaco since 1897, in addition to having electricity and gas concessions. The energy production plant is connected to the waste treatment plant and to an underground seawater pumping station built into the Fontvielle seawall. The Energy is supplied through insulated networks installed beneath the road reaching the connected buildings. Hot water, supplied through two heating networks to heat buildings and produce domestic hot water. Regarding heating production, it saves 6000 tons of CO2 emissions every year. Cooling water, supplied through a cooling network to cool service sector buildings, homes and factories. 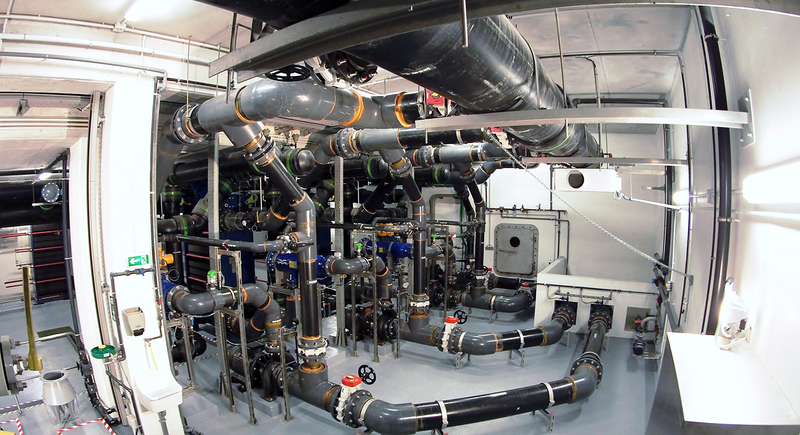 Thanks to trigeneration, Monaco CHP plant is able to recycle energy from waste into cooling water for the city. This is particularly relevant in summer when both waste quantity and cooling demand are high. This has two main benefits : to reduce electricity consumption and supply energy recovered from local waste. DHC networks are well adapted to high density cities with buildings such as Monaco. They simplify architectural design avoiding namely rooftops or chimneys installation. 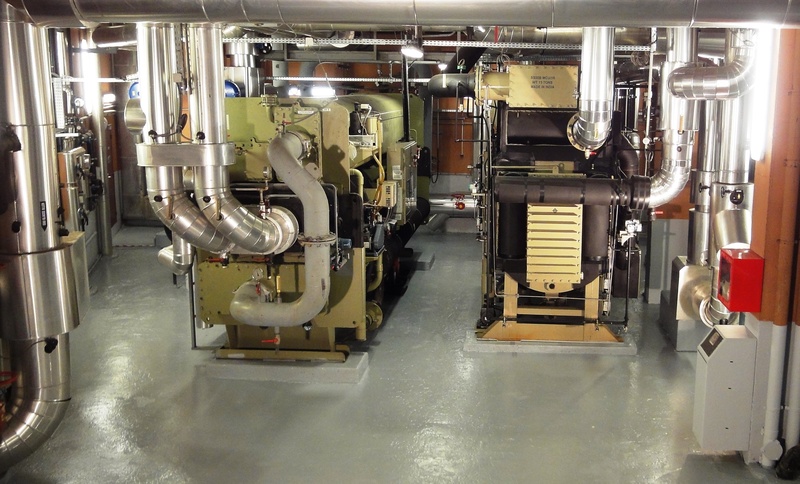 DHC’s are far less noisy than independent building energy production units such as chillers, boilers, or rooftop fans. DHC’s offer a steady supply of energy thanks to periodic maintenance, and a monitoring system capable of calling a 24/7 on-call duty team. 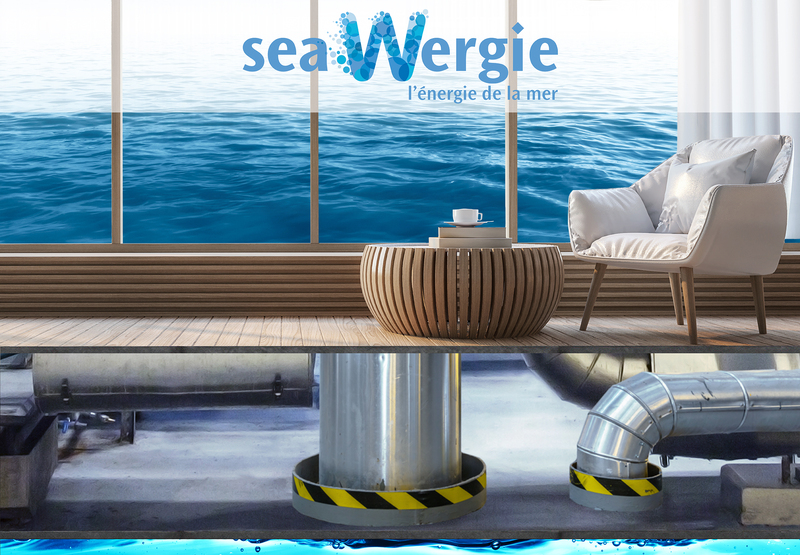 seaWergie uses various sources of energy mainly from local, renewable and waste recovery. This contributes to Monaco’s energy transition and to its sustainable development.. Heating and cooling water are produced in the CHP plant and then supplied through DHC networks to the delivery substations. Pipes are installed below the streets, mostly in accessible utility corridors, carrying hot and cold water to the connected buildings. Every building connected to the networks is equipped with a heating and/or cooling delivery substation. It contains an exchanger which enable the transfer of energy from the networks to the buildings providing heating, domestic hot water and cooling. seaWergie operates as a large central heating system for a building complex or a district. It offers comfort and a steady supply for users while respecting the environment. DHC networks are a great tool to successfully face the challenge of the energy transition. 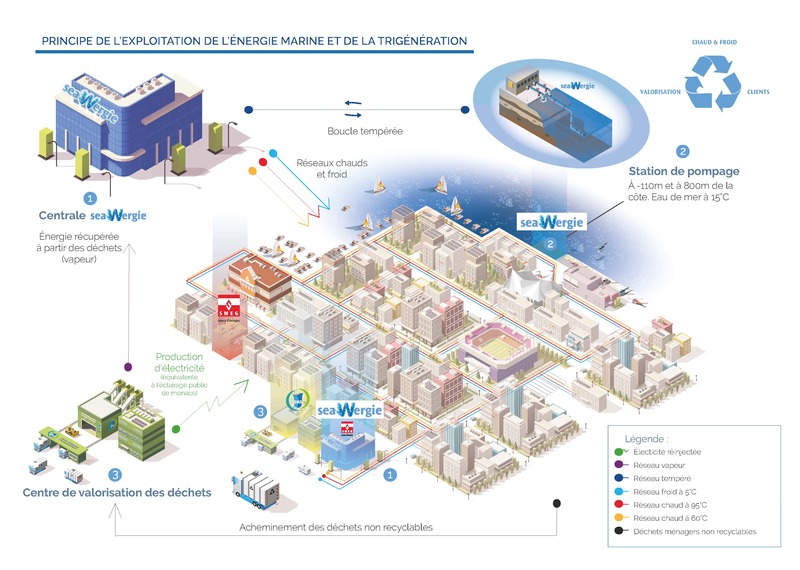 1 ten-floor energy production plant integrated into the city centre with 3 kilometres of networks supplying the west of Monaco. ** Cooling production: Electricity guaranteed from renewable sources through our EGEO offer. Steam provided by the waste treatment plant.